As busy as we are these days, almost any distraction is welcomed. It seems that our storage bunker has gone to the birds. A family of swallows has not only taken up residence but chose their new home to raise a family. Mom and her three babies are doing fine. 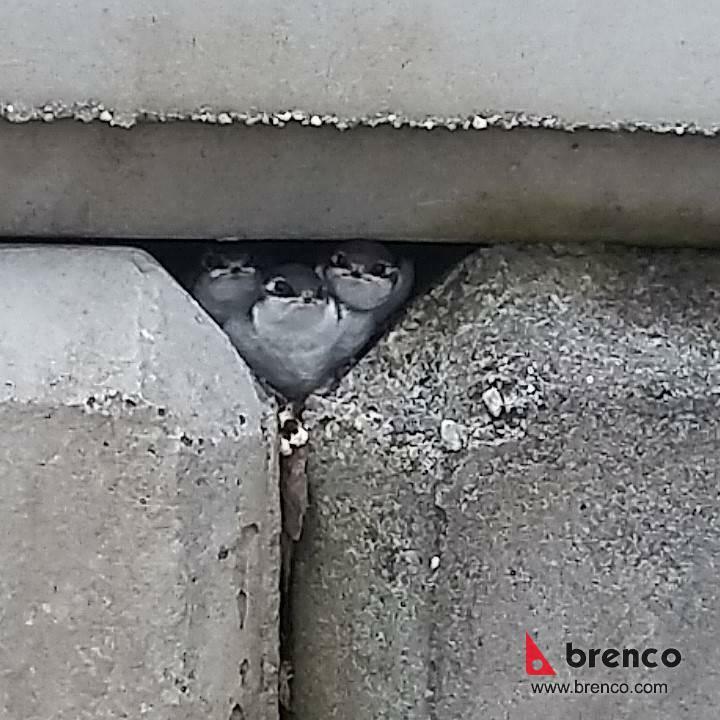 Brenco staff, while curious of the new residents, ensure that this little family gets the privacy and respect they deserve.